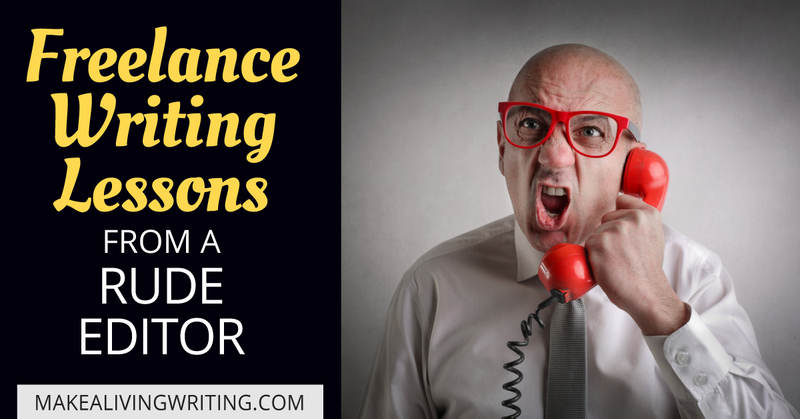 Are your guest post pitches getting ignored? If so, there may be some concrete things you can do to fix that. And it’s worth taking the time to figure out how to make your guest post ideas better. Plenty of writers I know get all their freelance clients from the exposure they get guest posting on popular blogs. You can slog away posting on your own little blog named “blog” that’s living under a tab on your writer website, but few prospects ever see that. Start guest posting for some high-traffic sites about the topics you’d like to get hired for, and all of a sudden, the calls start coming. These clients are usually impressed as heck that you’ve appeared on that big blog, and dying to hire you, in my experience. To improve your guest-post pitches and get more posts approved, you’ve got to know how to please editors. So I asked a bunch of editors at popular sites what writers are getting wrong in their pitches. Pleasing editors may seem difficult. But you don’t have to be confused about how to handle these tricky relationships any more. We’ve got tips for freelance writers who want the inside line on how to become an editor’s favorite, “go-to” writer. Many editors from consumer, trade, airline, and business magazines have shared their best tips for freelance writers in the Freelance Writers Den’s “Ask an Editor” podcasts. Have you ever wished you could find out what editors really think when they read your pitches and stories? Now you don’t have to wonder, because eight editors have shared their biggest freelancing pet peeves in the Freelance Writers Den’s semi-regular “Ask An Editor” Den meeting calls. It’s one of the biggest problems in freelance writing. You send out a query to an editor, or a letter of introduction to a business. You never hear back. You’re left to wonder what you’re doing wrong. How can you ever improve? You’re stuck. But you need to break through and get answers, or you’re not going to get the kind of great-paying gigs you want. Fortunately, there are several paths out of this dilemma. One is to hire an expensive writing coach and pay thousands for their input.